Heritage Turkey and Mashed Parsnips – Heritage turkeys are best, having more dark meat (so dark in fact that it looks a bit like red meat), fat, and flavor than the broad-breasted white-meated mutant birds we’ve grown accustomed to, but this recipe will work with any turkey variety. Pro tip: In recent years I’ve been doing a dry salt brine, where you salt the turkey two or three days before cooking it, inside and out. Use about a tablespoon of kosher salt for every 5 pounds of turkey, and really rub it in. This locks in moisture and results in a flavorful, not salty, bird. Just make sure to omit the salt from any recipe you use if you do a salt brine. The drippings will also be rather salty, so keep that in mind when making gravy. Succulent Roast Goose – You’ve spent your entire life being ridiculed by the geese down at the local pond. The loaves of white bread you tear into little pieces and toss to their gaping beaks are never enough. They’re your best friend when you’re rolling in baked dough and spurn you when you’re not. You even got Udi’s one time for that grey gander with celiac, only to have him poop on your shoe. Such ungrateful jerks, those geese. This recipe is your chance to even the score. Plus, it’s delicious and produces about a quart of high quality goose fat, perfect for roasting sweet potatoes. Cornish Game Hens with Egg and Sausage Stuffing – What’s better than a single serving bird? It’s almost like they were meant to be eaten. Foolproof Prime Rib – Prime rib isn’t a traditional Thanksgiving meat dish, true. Poultry is the preferred genre, yeah. Who cares? Shake things up with J. Stanton’s simple recipe! Plop a six pound piece of beef on the table. Eyebrows and hackles may raise up a bit, but you’re used to that by now. Plus, once those meat juices are running down their chins, they’re locked in. No going back. Get fancy and go with a bison roast, if you’ve got one handy. Baked Fresh Ham – Cured hams are tricky. To cure your own is a huge undertaking (plus, it’s too late to get started) and most commercial hams are full of sugar. Luckily, you can bake a fresh ham roast, control what goes into it, and end up with a great piece of holiday meat. Holiday Spice Rubs – Pick one of these spice blends and rub it into/onto the slab of animal of your choice. It’s bound to taste great, impart seasonality, and reduce the formation of carcinogens and oxidation products. 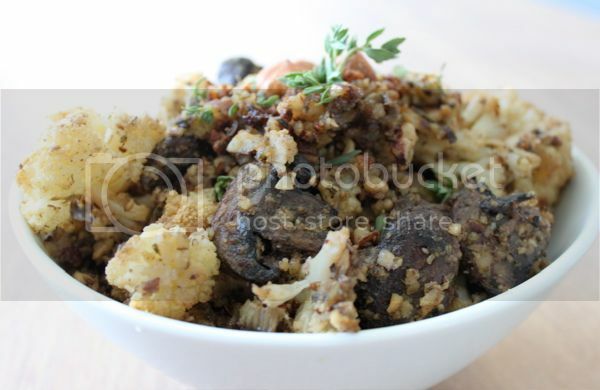 Breadless Cauliflower and Mushroom Stuffing – Far lighter than bread-y stuffing, it will pleasantly surprise even the staunchest Thanksgiving traditionalists. Bread-free Fruit and Nut Stuffing – Scroll on down to number 8 for a slightly sweeter alternative to standard stuffings. Paleo Stuffing – This one uses a grain-free bread, so it’s your best bet at fooling people. Be sure to make the Maple Paleo Cornbread a day in advance (don’t worry, there’s no actual corn in it). Best Ever Paleo Thanksgiving Stuffing – Try it out and tell us if they’re telling the truth. Breadless Primal Stuffing – Many of us still have fond memories of stovetop stuffing. Here’s a way to replicate it using Primal ingredients. You will have to make some grain-free biscuits ahead of time, but I think it’s worth it. Paleo Thanksgiving Stuffing – This is a bit of an older recipe, but it’s still one of my favorites from Bill and Hayley. A thick meat-and-fat-and-bone-broth-based sauce? What could be more Primal? Well, traditionally, gravy is thickened with a white-flour roux that makes it inappropriate for the 30% or so of people that may be gluten-sensitive. Let’s look at a few Primal-friendly gravies, because you simply can’t go without gravy on Thanksgiving. Umami Gravy – Even if this gravy from Nom Nom Paleo weren’t thick and viscous, its overwhelming unctuousness would coat your throat, mouth, and the interior of any other orifice with which it comes into contact. A little bit goes a long way (but you’ll still want to pour it over everything you eat and drink the rest out of a mug). Herb Gravy – A classic Thanksgiving gravy recipe, albeit without the flour. My Basic Reduction – If you don’t want to use a flour or starch to thicken, you can rely on time and patience. Mince some garlic, shallots, and fresh herbs. Add to a heated, buttered sauce pan and cook until fragrant. Deglaze with some white wine. Reduce the white wine by more than half, right about when it starts getting a little syrupy. Add a generous amount of the super gelatinous bone broth you’ve already made; pan drippings also work here. Reduce the heck out of it. Once it’s starting to coat the spoon, turn off the heat, toss in a few tablespoons of cold butter, raw egg yolks, and maybe some cream. Stir, stir, stir and season to taste. No, it’s not traditional Thanksgiving gravy and it takes longer to make, but it’s darn good. Check out Richard Nikoley’s take on a reduction gravy; he uses giblets. Bacon Brussels Sprouts with Brown Butter Vinaigrette – This is a hearty vegetable dish that can almost act like a main course. Fall Vegetable Medley – Why limit yourself to one or two vegetable varieties? Treat your guests to the full spread of fall veggies, simply roasted and allowed to succeed on their own merits. Grilled Okra with Spicy Sumac Seasoning Salt – It’s not your traditional Thanksgiving flavor. I’m a firm believer that every large homogenous meal needs a dish that stands out from the crowd and makes people take note. Vegan Green Bean Casserole – Hey, we don’t hate the vegans. We can get along. This dish is the perfect way to make your vegan friend or family member feel at home as they eat it tucked away in the basement at the personal dinner table you’ve set up just for them. How nice! But seriously, it’s a legit green bean dish. Green Beans with Lemon and Sage Crumbs – A nice twist on standard green bean dishes. And who doesn’t love chicken crumbs? Cider-Glazed Roots with Cinnamon Walnuts – Balsamic vinegar makes this one. Roasted Beets and Pistachio Butter – I can guarantee that these are flavors you’ve never seen paired before. Bourbon and Honey-Glazed Carrots – Bourbon isn’t just for drinking. Broccoli-Carrot Mash – Lighter, greener, and more orange than standard mashed potatoes. Roasted Butternut Squash Purée – Basic steamed butternut purée with butter is nice, but this recipe switches things up by roasting the squash, using coconut oil and sage, and mixing in macadamia nut meal. Really interesting, really tasty. 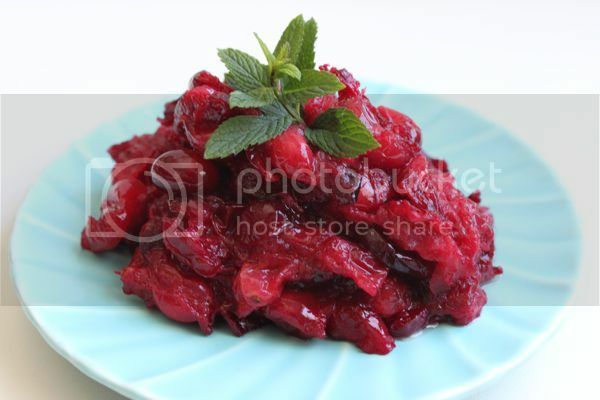 Rutabaga Purée and Lingonberry Mash – Try this reader-submitted Finnish recipe. 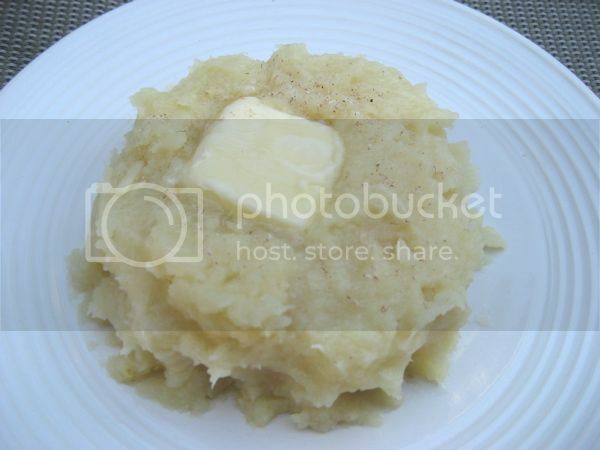 Mashed Cauliflower – Steamed or boiled cauliflower, grass-fed butter, a blender or food processor, some salt and pepper are all you need to create a low-carb version of mashed potatoes. You could also make a more elaborate version. Mashed Parsnips – Parsnips get no love. They deserve lots. Love them and show them you love them by eating them; they’ll understand. Candied Butternut Squash and Ginger Chutney – It’s a chutney that can also double as a side. Simmered Cranberry Sauce and Spicy Cranberry Relish – Two cranberry sauces, each incredibly different from the other. I suggest making both and letting people choose. Paleo Cran-Cherry Sauce – Cranberries, cherries, ginger: it’s a delicious confluence of powerful antioxidants that happens to go well with roasted turkey. Cranberry Brown Butter Sauce – Butter really does make everything better. Heck, it’s practically right there in the word “butter” if you take out a “u” and add another “e.” In this sauce, butter mellows out the tartness of the cranberries. Crunchy Primal Crackers – Excellent vehicles for fine cheeses, dips, and spreads of all kinds. Fig Tapenade – Great drivers for those crackers. Smoked Bacon Oysters – Whatever you do, don’t make too many of these if you want people to save room for dinner. However many you make will be consumed in their entirety by your guests. Simple Beet and Carrot Salad – Light and refreshing. Primal Pumpkin Pie and Primal Apple Pie – The classics, made Primal. 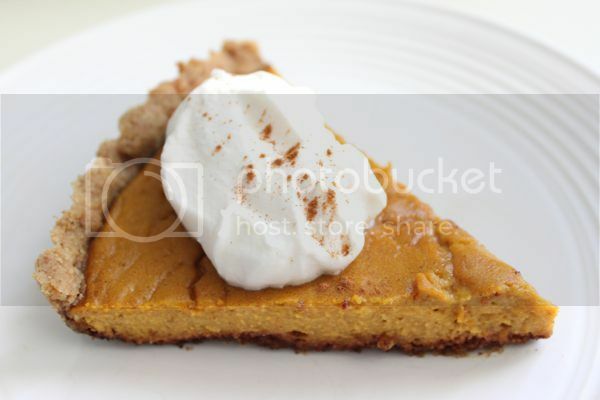 Ultimate Walnut Pie Crust with Pumpkin Filling – Another Primal take on pumpkin pie. Decadent Coconut Milk Whipped Cream with Berries and Dark Chocolate Coconut Mousse – The title pretty much says it all. Ginger Molasses Cookies – Sometimes I really do miss gingersnaps. These are worthy replacements. Apple Pie Tartlets – The word “tartlets” drew me in. Recipe’s great, too. Paleo Maple, Pumpkin Custard Cups – These hit the perfect balance between sweet, buoyant, and pumpkin-y. The winner gets a free copy of Primal Blueprint Healthy Sauces, Dressings & Toppings. green bean casseroles are my favorite Thanksgiving side. If you are at work, be careful clicking the Paleo Maple Cornbread link as it has the word “pron” in it. T-minus and counting until I get a call from the IT dept. LOL. Tell us how that conversation goes! Firstly, thanks (I don’t think) for making a pregnant lady soooo hungry at the end of her work day! Secondly, I’m in the UK, so no thanksgiving here, but I’ve just decided to do roast sweet potato and caramelised onion with my Christmas turkey – yum!! I can’t wait for CHRISTMAS!!!!!!!!!! 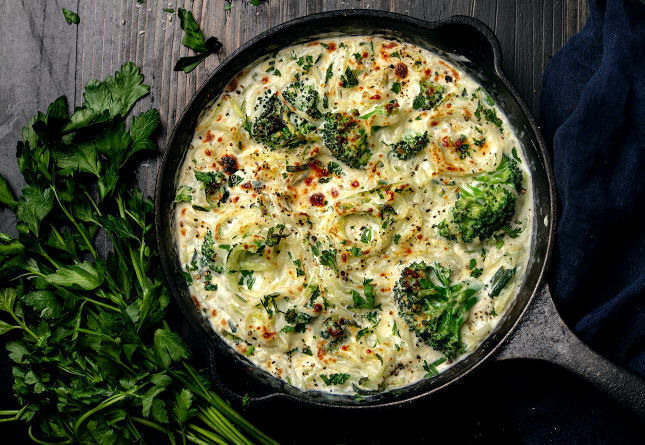 My mom’s broccoli cheese casserole. I’ve never even tried to Primalize it, since I only make it on Thanksgiving. I just use gf mushroom soup. The ingredients are frozen broccoli, cheddar cheese, cream of mushroom, some mayo and horseradish. The horseradish MAKES it. I’m also in love with The Clothes Make the Girl’s Cranberry Waldorf Salad. I used to LOVE jellied cranberry sauce. Since I made her salad, I haven’t bothered with the canned stuff. Her’s is soooo good!! Snickerdoodle cookies – great holiday desert! Thanks for posting this as one of your favorite recipes- it’s one of ours, too! Nope. No high maintenance for me. I’ll be making Carpaccio and maybe some jalapeno bacon-wrapped cheese stuffers…and some football. I am not great at cooking, so all the recipes I love are usually pretty easy. Here are some of my Thanksgiving favorites that I love so I use them year round! My favorite appetizer is bacon wrapped dates stuffed with almonds and some blue cheese (omit the blue cheese for no dairy). Bake those in the oven at 350 for 15 minutes, flip, and bake another 15. I can eat these as a meal. For a side, I love maple bacon Brussels sprouts. Cook 8 oz of bacon in a skillet until crispy. Remove bacon and cook Brussels sprouts in the fat (I steam mine first, this ensures they are cooked), add a ¼ cup maple syrup, ½ coconut milk, and cook until sauce thickens. Crumble up the bacon and mix in. Yet another bacon dish I could eat for a meal! I found a great cranberry sauce online (can’t remember where) that only has cranberries, maple syrup, and water. 2 cups fresh or frozen cranberries, ½ cup of maple syrup, ¼ cup water. Cook on stove until cranberries burst. I like it smooth, so I use an immersion blender. Tart, but great on meat. I sometimes sweeten it up with apple sauce. And a yummy treat for after, pumpkin brownies from http://cavegirlcuisine.com/2012/11/12/pumpkin-brownies/ I make them as cupcakes. After setting out on a gravy-making foray last night (with newly-created turkey drippings), I discovered that you don’t need any kind of starch to thicken gravy–just throw in some of your cauli mashed potatoes and seasonings! This is music to Hubby’s ears, as any kind of starch causes his BG to skyrocket. Thank goodness I made a double batch of cauli mashed potatoes, ‘cuz half of them went into the gravy to thicken it. Tonight, it’s stuffing, salad, and pie. Tomorrow, WE EAT IT ALL! 🙂 The fridge can hardly wait–it’s nearly bursting now. I *desperately* need a primal stuffing substitute! Lightly steam 2-3 good sized sweet potatoes and chop into largish cubes. Put in a few country-style pork ribs into it. Add caraway if you like it. Probably a little water too because you’re going to cook this for a few hours on low. This will work in a crock pot. It’ll be the best sauerkraut you ever smelled. My most recent obsession, Walnut & Coconut Whipped Sweet Potato Casserole! Only 6 ingredients (1/2 coming from a coconut) and has gotten rave reviews from my Paleo Potluck Meetup group! I love sweet potatoes, but I’ve always hated the traditional Thanksgiving preparation with the syrupy canned stuff and marshmallows. I created my own recipe that uses the flavors of the Southwest where I grew up and still live. Add all liquid ingredients plus the chipotles to a blender or food processor and blend until smooth. Taste and add salt and pepper to your liking. Add all the veggies and the bay leaves into a casserole dish and pour in the liquid. The roasting dish should be sized so that the veggies are about half-submerged in the liquid. Cook in a 375F oven for at least an hour, stirring once or twice. The yams should be fork-tender and everything should be a little caramelized. While the yams are cooking, toast the pecans in a hot pan with a sprinkle of salt, cumin and chili powder. Stir the yams one last time to help the remaining liquid soak into the yams and then sprinkle the pecans on top of the yams just before serving. You can leave out the honey if you don’t want the sugar. Garnet yams are pretty sweet on their own but the honey helps everything brown nicely. That sounds amazing! I grew up in New Mexico and really miss the southwestern flavor. As amazing as San Diego’s Mexican food is, it isn’t quite the same. Eventually i may have to take a food only vacation there. Oh, I love those, too! I make them when I make soup. Very yummy. Nom Nom Paleo Umami Gravy. Made pre-thanksgiving and will make again! I’m loving all these Thanksgiving meal plans! So many great ideas. Even my family, who was afraid of the word “paleo”, loved this one! Cranberry Sauce is my favorite for Thanksgiving. I was so happy when I discovered that you could make it from scratch, that it didn’t have to have ridges on it.This is my usual cranberry sauce recipe: http://www.oceanspray.com/recipes/corporate/sauces,-sides—salads/fresh-cranberry-sauce.aspx. Now I’ll have to work on primalizing it. This recipe my have been created by a vegatarian chef, but the chick knows her veggies. Delicious! I know it is just a joke but please don’t feed to bread to wildlife. It’s not good for us and it’s not good for them, particularly birds that have enormous daily caloric requirements. Cranberry Applesauce: (note: In past years, I used a small amount of sugar to cut the bitterness of the cranberries, but last year I added dried figs and it turned out even better!) This side dish is still a bit tart, but pairs nicely with the natural sweetness of butternut or sweet potatoes and the saltiness of brined turkey. You can always add a bit of natural apple cider instead of water, if you must have sweet. If my kids love it, you will too! In a saucepan, add cranberries, figs and 1/2 cup of water. Set burner to medium-high. After the cranberries pop and cook down a bit, add apple chunks and another 1/2 cup of water (you might need to add an additional 1/2 cup of water to prevent burning). Turn burner to medium, cover and cook until apples have cooked down, stirring occasionally. Add spices to taste. Cool completely, then refrigerate. This recipe can be made up to 2 days ahead of time (for those who would rather hike or run a turkey trot on Thanksgiving Day rather spend all day in the kitchen). I make Cranberry Applesauce for Christmas presents. I use 6 golden delicious apples to about 1C cranberries and no sweetener, some apple cider for the liquid instead of water, and cinnamon. That kind of apple is very sweet. Yummy. Try it! I love Bacon. We made Bacon wrapped yams one year and they were incredible! You peel the yams, cut them into thick chunks. Wrap them in Bacon, put in oven and bake at 350 until they are almost done, then turn the temp up to 400-450 for 5-10 minutes, or unti lthe bacon is crispy. Butternut squash in Kerrygold butter and thyme! We made a cauliflower and parsnip mash for Christmas last year in place of sweet potatoes. The fam didn’t even notice a difference, and when we told them they weren’t potatoes they didn’t even bat an eyelash and just asked for seconds. Aaaaand steam your veg and make a mash. Pretty straightforward and simple. You can obviously adjust the amounts to make them creamier/thicker, more/less, more buttery, etc. Really, really good stuff! Living in western Pennsylvania, I’m fortunate to have access to wild cranberries growing in the nearby bogs. They’ve got a crunch and taste unlike any supermarket cranberry I’ve come across. And, of course, they’re all free for those who wish to partake. Wild food = a true Primal Thanksgiving! I am going to make this for dessert on Thursday, can’t wait! Honestly, I have been fretting a bit about eating Thanksgiving at the In-Laws house. They are all very much bread-a-holics over there, and I thought I might have to make due with a triple serving of Turkey. The Cauliflower-Mushroom stuffing sounds delicious, and we might just have to give that one a whirl this year. I made it last year (and will make it again this year). My husband and youngest daughter (now 13) have never liked stuffing. They both agreed to at least try the new kind last year – they both loved it and asked me for it again this year. I have always LOVED stuffing I think I actually enjoyed this one more. There were only 4 of us last year, so I just bought a turkey breast and baked it right on top of the stuffing mix. Yummy!!!!!! I have made this for pot-lucks at church and have never brought any home. Butternut squash and sweet potatoes = parts, cut into 1inch cubes. Bake them first coated in butter and 1tsp of cinnamon. When they are both soft add in pineapple chunks, apples diced and top off with a hand full of walnuts and dried cranberries. Bake ever thing at 350 in large dish – total cooking time about 1 hour. I’m a moron, nevermind. Hooray for a sauce AND sprouts. Turkey, Brussels Sprouts, Butternut Squash, Chestnuts, Leeks – Those will ALL be on my plate….. A few times actually, lol… This Thanksgiving and I couldn’t be more excited! My stomach is READY! 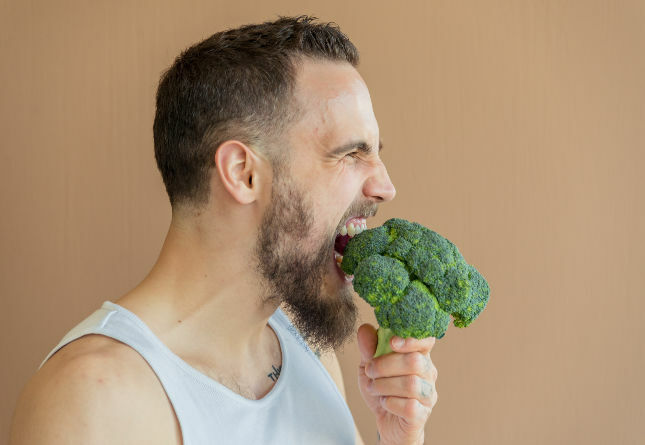 If I was a meat eater then I would definitely go the primal way as it is definitely the healthiest way possible for meat eaters. Especially in these days when livestock is fed animal products leading to all sorts of diseases such as mad cow diseases. Not to mention all sorts of hormones which I strongly suspect are the real reason for the rise in cancer rates. This is my all time favorite recipe. It comes from Dr. Phil Maffetone. The only trick for me? I stick these bars in the freezer. They don’t freeze all the way and they taste INCREDIBLE. 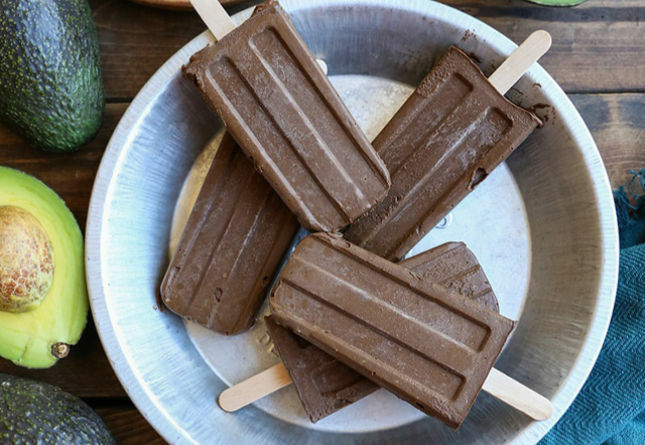 Coconut chocolate chunk frozen bars! I eat them any time of day but they work as a dessert for Thanksgiving for sure! batter into a dish (about one inch deep) and cut into squares. Beet and walnut hummus! Had this one for our Canadian Thanksgiving and it was a hit! Went on everything from lettuce cups for apps to right on the turkey for the main course. And then into the food processor all this goes! It was damn tastey. you could easily omit the maple to make it more hearty but I thought it made it just perfect. 1/2 cup of sweetener of your choice (I use 1/4 cup organic coconut palm sugar and 1/4 cup stevia). This is more than sweet enough for us, but you can add more if needed. Grease a 9″ x 9″ pan (square or round) with coconut oil, Can use 8″ x 8″ or 10″ x 10″ pan – just adjust baking time for thickness). Pour all the ingredients into a blender (I use a Blendtec on “Batter” setting but any blender will do the job as long as the cream cheese is somewhat softened). Give it a good blend so all the ingredients are well incorporated – you don’t want to be seeing any streaks of cream cheese or spices, etc. Pour into the prepared pan. Bake at 350°F for 45-50 minutes depending on your oven. (Mine seems to take ~47 minutes). It’s done when tester comes out clean (ie: a clean knife blade). Let cool, then refrigerate before serving. It tastes better cold. No one seems to miss the crust especially if you’ve got home-made whipped coconut cream to serve with it. And I sprinkle the top with very finely crushed almonds, pecans and walnuts and unsweetened shredded coconut — what’s wrong with putting the crust on top instead of on the bottom?? Enjoy, we absolutely love this stuff and hope you will, too. Sweet potatoes, ginger root, butter, coconut milk, cinnamon & nutmeg. Nobody can tell that it doesn’t contain sugar. Though I have yet to host a Thanksgiving dinner, I did contribute to the meal this year (October 14 up in Canada) with a few recipes from Practical Paleo including mashed faux-tatoes, simple cranberry sauce, and pumpkin pie custard. However, the recipe I wish to share is one I have tried a couple times before and plan on making again this upcoming holiday season: Pumpkin Chiffon Pie with a pecan meal pie crust from Make It Paleo. Also, just because it was so tasty, I want to mention that I had some very scrumptious maple butter yams at a Christmas buffet lunch today. So good! Chop a small onion and sautee it in a tablespoon of butter until tender. Add cubed cooked butternut squash. I peel and quarter a squash and cook it in the microwave until fork tender. Add homemade chicken broth or water or mix the two – I’ve done all of the above. Salt and pepper to taste. Bring to a boil, then turn off the heat and let it cool slightly. Using a stick blender, blend the soup until smooth. It should be so smooth, it seems like you’ve put cream in it but you haven’t. And here’s the neat part – you can eat it as is or before blending add chipotle powder (Penzey’s is great), or lime zest, or maple syrup. Be creative! Not my recipe but I made this shortly after PaleOMG posted and it will be on our Thanksgiving table Thursday. We loved it so much! Super simple: Mashed butter squash with a ton of coconut butter, a touch of honey, and a hint of cinnamon! I feel like I’m being taken hostage…..
My 2 college age kids and my wife insist on regular pies and mashed potatoes for Thanksgiving. Scratching my head on why my wife splurged for a free-range turkey and its premium price….and then allowing all this high glycemic index stuff in the front door. Running a marathon wouldn’t even justify all these bad carbs. At least we don’t have beer in the house…red wine and my homebrew hard cider. Maybe I’ll just drink my dinner this year. Thankfully, I have a lot to be thankful for and Friday we can return to our eating real and healthy food. This was my favorite stuffing recipe ever that I have made the last 2 years. Won’t do stuffing this year since I have a lot of primal side dishes to try. The pumpkin pie and apple pie links don’t go to the correct page! Our favorite holiday vegetable is green beans topped with carmelized onions. Steam thin green beans, blacken some butter in a pan, add dijon mustard and a little balsamic vinegar and toss green beans in blackened butter/dijon/vinegar mixture. Salt & pepper to taste. Top with carmelized onions on platter. You can make the carmelized onions in advance, Slice thin and cook in a little butter for 45 min or so until dark and sweet. They will store in the fridge (heat before serving them) so the green bean recipe is low maintenance on serving day. Throw it all in the food processor and blend until you reach desired chunkiness/smoothness. Easy and tasty! My family’s favorite is an appetizer– stuffed mushrooms based on a recipe by Julia Child. Arrange the mushroom caps on a baking sheet, brush with melted butter, season with salt & pepper. Then sautee the stems (chopped) with finely minced shallots (or onions &/or garlic) in plenty of butter until they release all their moisture. Then add some gf crumbs or chopped nuts, a bit of cream & some sherry if desired, cook down until just moist, remove from heat. Stir in grated gruyere &/or parmesan, chopped parsley, some tarragon if you have it. Season to taste with salt and pepper. Fill the caps with this mixture, sprinkle with a bit more cheese, bake about 20 minutes at 375F or until golden brown & sizzling. Serve warm, but look out– they are HOT out of the oven! 2-3 cups mushrooms, cleaned and sliced. -Cook bacon, set aside. Save grease for cooking. -Cook sausage in bacon grease, set aside. -Meanwhile, microwave sweet potatoes to speed up process. Maybe 7-9 mins, (my microwave has a potato button) potatoes should be soft but not mushy. -Cook onion in bacon grease. -Add mushrooms and cook until desired consistency. I like mine a little on the raw side. -crush bacon and mix it and sausage into dish. Bells seasoning is a mix of sage, thyme, marjoram, rosemary, nutmeg and pepper. It really brings that traditional stuffing flavor into the mix. This is also very good with an over easy egg on top for breakfast. Slice potatoes and apples into similar size pieces. Place in a casserole dish greased with butter or coconut oil. Mix in pecans, drizzle with honey and sprinkle with cinnamon. Mix to coat evenly. Cover the casserole dish and bake at 350 degrees for one hour or until potatoes and apples are fork tender. Adjust recipe as needed for larger/smaller servings. Enjoy in place of traditional sweet potatoes full of brown sugar and marshmallows. Two recipes that are so easy it’s hard to call them recipes. Peeled cut up sweet potatoes in a pan of water. Boil until soft. Drain off water. Add some ghee, a bit of almond milk, and salt. Blend with an immersion bkender until smooth. Eat. We usually make 2 potatoes, about 1 TBS. Butter, 1/8 to 1/4 cup almond milk. Salth to taste. Cook until cranberries pop and sauce thinkens. Cool, serve with chopped pecans. Woke up this morning and saw a flock of the original heritage turkeys looking at me through the window of our cabin. One of them is on tomorrow’s menu, but doesn’t know it yet. Her name is Tulula. We also have a butterball in case the flock decides not to show up tomorrow. I just made this gravy and we all had to have a pre-Thanksgiving day taste. It was a winner with everyone! Made these biscuits today in order to make the stuffing tomorrow, but they are way too good. Bringing some on their own as well….so, so good! We do a goose for Christmas. Does anyone have a reasonable source for pasture raised goose? I found one online but shipping is nearly $60. Love this menu! For me, heritage turkeys are best. This is really delicious. 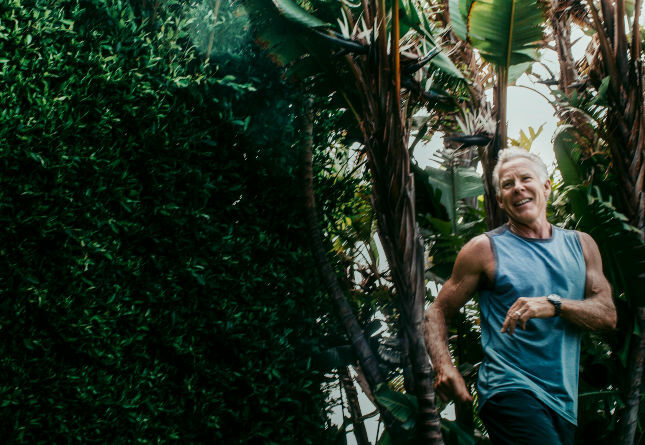 I am always in the gym, working out. I believe that turkeys are the best source of protein. Here is a great side dish recipe for Thanksgiving, or Autumn in general. Very simple list of ingredients and I couldn’t stop eating it! I seared some pork chops in a cast iron skillet and paired this side with the chops. Now it is my favorite meal. Cook it. Eat it all up. Occasionally I like my green beans really dead so I’ll easily cook this for 20 minutes. The original recipe included potatoes. If you’re of a mind, toss them in and just cook until they’re done. (Okay: *sigh* Saute the onion in the olive oil until it starts to become translucent. Add the chopped garlic clove and let it cook a bit. I used a whole bag of frozen green beans from Trader Joe’s. Obviously fresh will work as well. Dump those in. Dump in the can of tomatoes. Add oregano (I use about 2-3 tsp), salt & pepper etc. Add some water. And cook until the green beans are the tenderness you want. Absolutely love all these primal paleo thanksgiving recipes! I prefer healthy food! And i’ll definitely try these recipes. My husband would love it! Thanks for sharing Mark! Oh my! These primal paleo thanksgiving recipes are delicious – and so easy to make! Thanks so much! These primal and paleo thanksgiving recipes are delicious! That Cranberry Brown Butter Sauce looks soooo good, I had to try and make it.